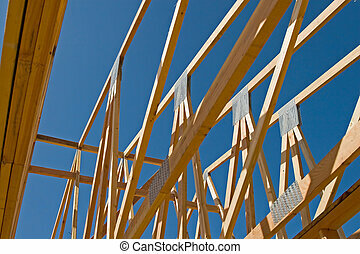 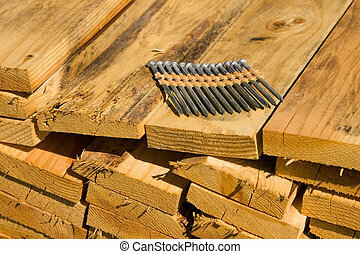 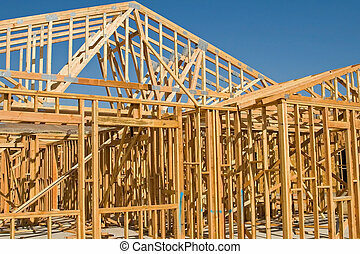 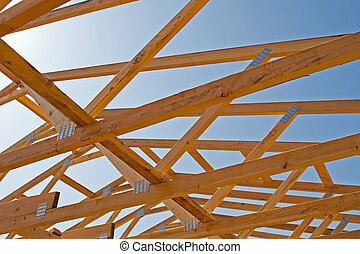 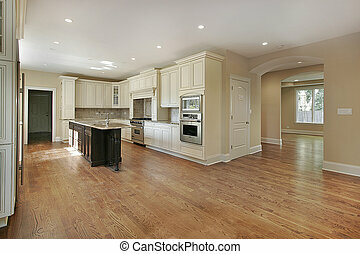 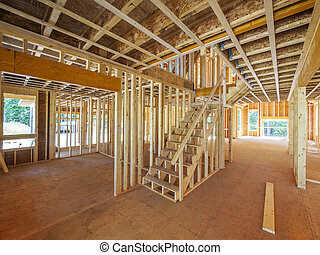 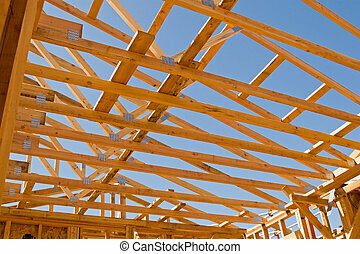 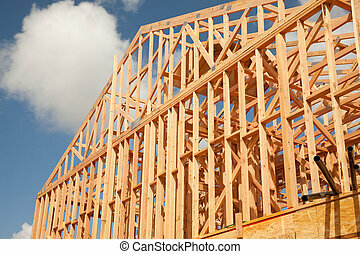 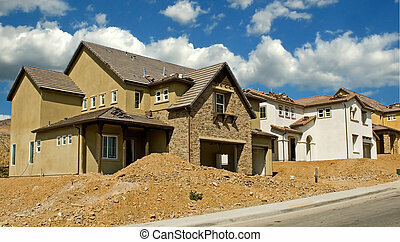 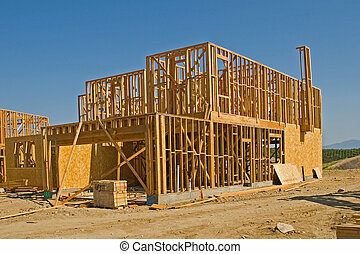 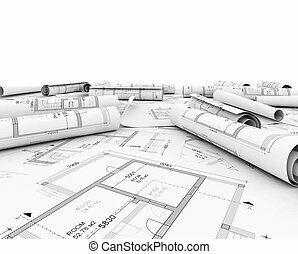 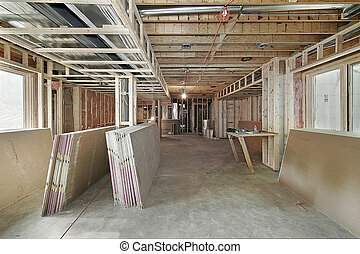 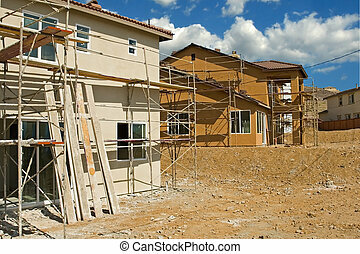 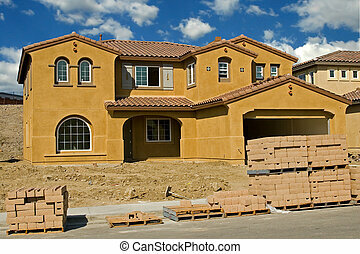 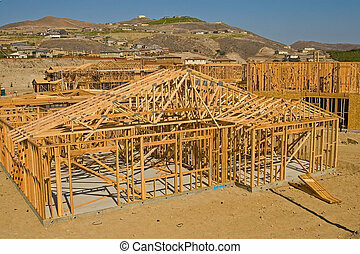 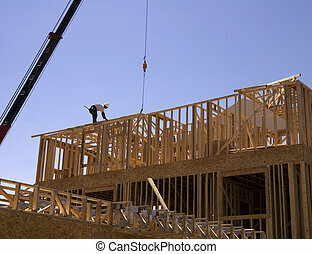 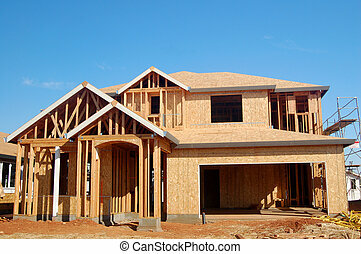 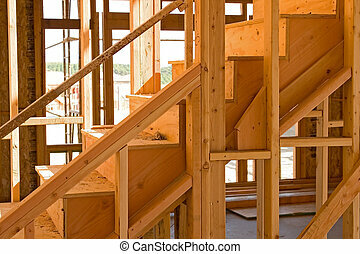 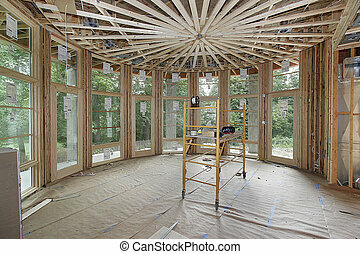 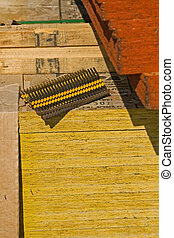 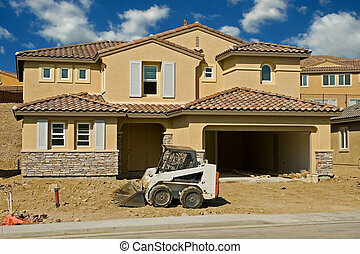 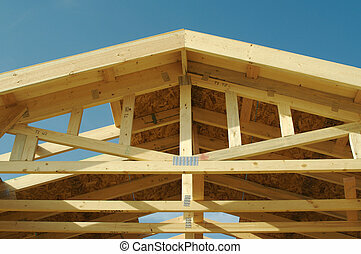 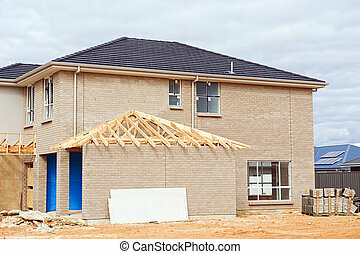 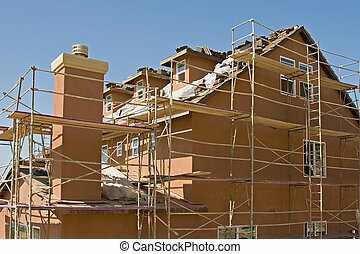 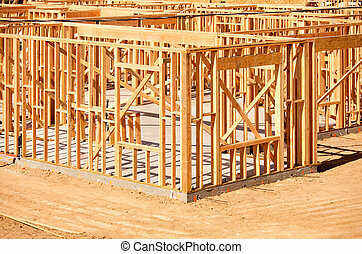 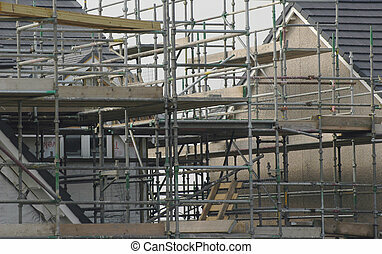 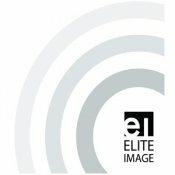 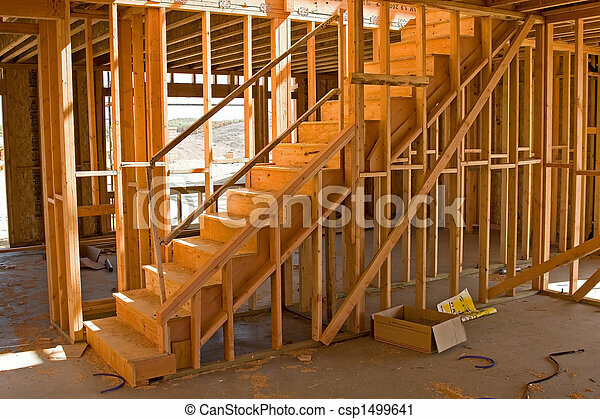 New residential construction home framing. 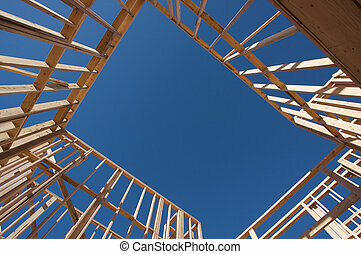 New residential construction home framing against a deep blue sky. 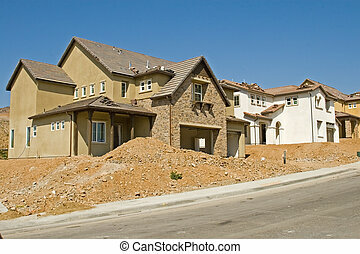 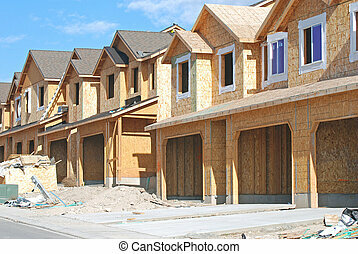 Rows of unfinished townhouses under construction.